Do you have competitors? Do they offer the same services and products as you? Whether you are a large corporation, a non-profit association, a small business or a solo-preneur, do you have what it takes to set you and your employees apart from your competition? Do you know the secret to getting ahead of the pack and increasing your bottom line? You may think that the answer lies in skills, education and expertise. All of those are important, not to be overlooked; but studies have proven that the key to success lies in interpersonal skills. The way you interact with others, whether they are your clients, customers, employees or co-workers are critical. What distinguishes an ordinary professional from an extraordinary one is understanding and practicing modern manners, business etiquette and professional conduct in the workplace. The combination of all three will result in extreme customer service, repeat clients and higher profits. 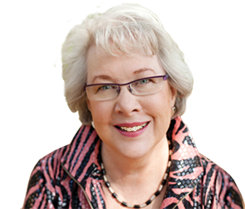 Lydia Ramsey, with over three decades as an international business etiquette and modern manners expert, is just the person who can help you and your organization develop the soft skills needed to outclass and outlast your competition. Her business etiquette courses, which have been offered around the globe, provide the tools to take your business to the next level. Visit About Lydia to learn more about Lydia and why she is qualified to help you and your organization add the polish to build profits. Lydia’s mantra, “Business etiquette is about relationships; not about rules” is the cornerstone of all her presentations. Whether she is dealing with organizations, teams or individuals, her focus remains on the art of personal presentation and individual interaction. She customizes her modern manners and business etiquette training to her client’s unique needs through interviews and detailed research with you and your associates. Her southern charm and humor makes her presentations engaging, fun and memorable. Who benefits from working with Lydia? Contact Lydia for your specific needs and explore our site to learn how you can incorporate business etiquette, professional conduct and modern manners into your goals for success. Specializing in the Details That Open Doors and Close Deals!